find a way of hanging on and moving with them. 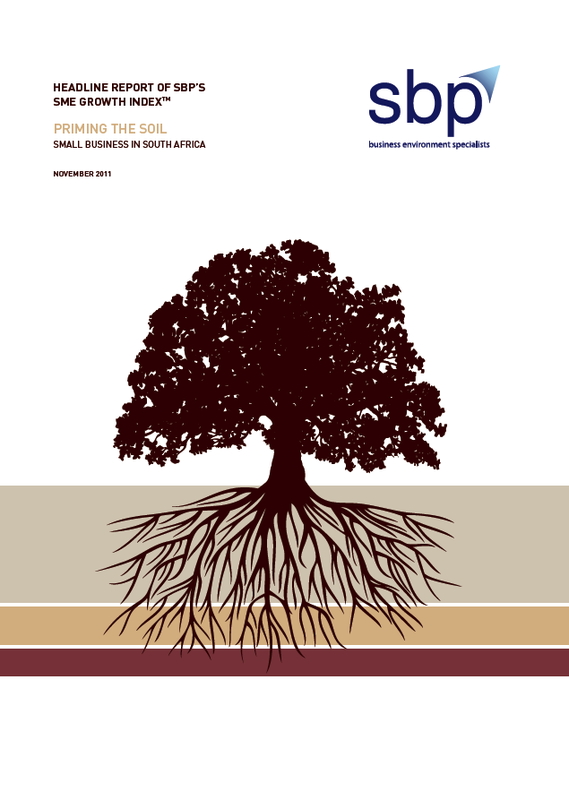 SBP hosted a small high-level roundtable discussion at the end of September. Participants in the roundtable were drawn from government – including the Presidency – business chambers, parastatals, research organisations, and major private sector players engaged in small business development. This SBP Alert is an edited version of the day’s discussion, summarising key points that emerged. 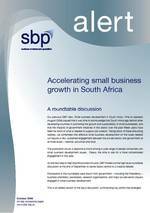 Effective small business development on the scale needed in South Africa requires a new, sustained engagement between the private sector and government at national, provincial and local levels. There is a large and pressing agenda, but crucial issues include improving the regulatory, administrative and operating environment, and ways to expand market development for SMMEs. 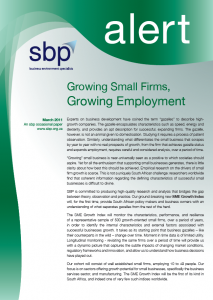 Most important of all, small business development initiatives must get down to the level where small businesses actually operate, and must be closely targeted in different sectors and value chains, and in specific localities – in our cities, small towns and rural areas – to grapple with their diverse characteristics, needs, constraints and opportunities. Can the creative energies of South Africa’s young people be turned into one of the country’s greatest assets, and a source of economic growth and prosperity? The new National Youth Development Agency will have to prioritise its interventions. South Africa’s enormous unemployment challenge is particularly concentrated among the country’s youth. 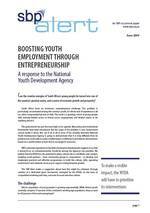 This SBP Alert argues that a strong focus on entrepreneurship should be among the NYDA’s top priorities. 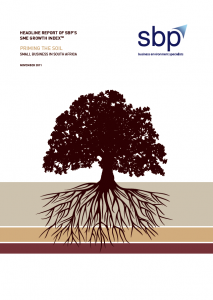 It should operate as a facilitator and catalyst, enabling social partners – from community groups to corporations – to develop practical and effective programmes to build the culture, skills, operating environment and networks necessary to support entrepreneurial growth. We suggest that this might be achieved through creation of a dedicated grant mechanism, managed by the NYDA, on the basis of competitive tendering and clear, outcome-focused selection criteria. 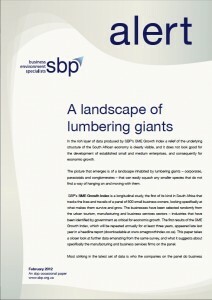 Research specialists SBP have launched, for the first time in South Africa, the SME GROWTH INDEX. 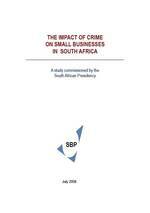 It aims to measure and monitor the growth dynamics of a vital sector of the country’s economy, and provide evidence to government of the factors encouraging and inhibiting small firm profitability and their job creation potential. 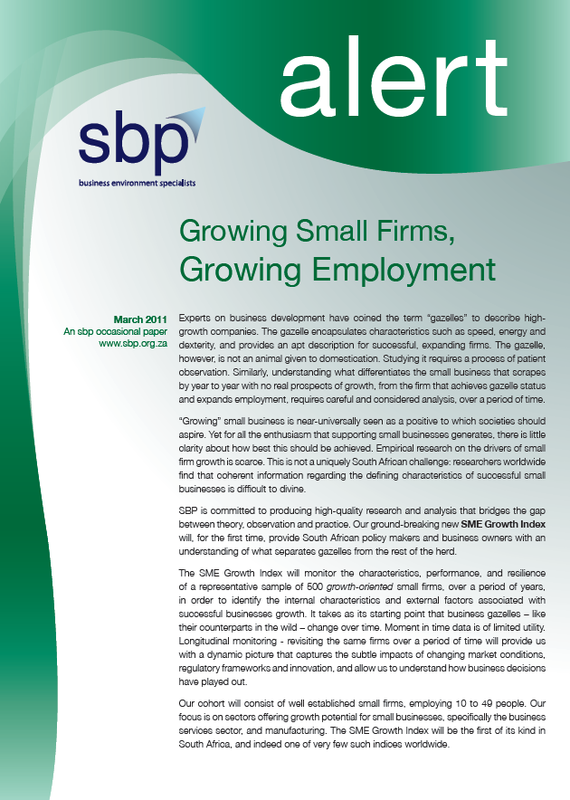 The SME Growth Index will track a panel of 500 randomly selected small business owners over a period of years, collecting vital information on how these firms deal with red tape, manage external shocks, skills shortages and the labour market, competition, innovation and market expansion. 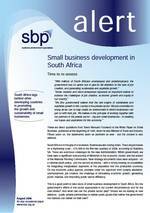 For small business owners in South Africa, this is your opportunity to have your voice heard.